We are Honey and Diana, two Malaysian gals who really love diving into books of all kinds. Welcome to 2 Book Nerds Talking where we discuss books we love or those hot on the read list. We get to share reading insights, bookish topics, pick the minds of occasional bookworm guests and other general book nerdery. 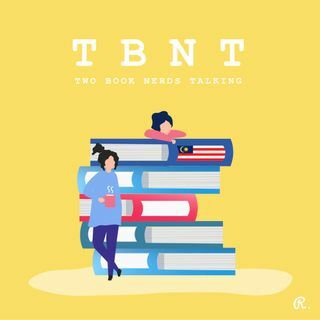 If you love books as much as we do, this is the podcast for you! In this episode we go into the world of Murakami with his short stories, Men without Women. We discussed one of his best ... See More collections that exemplifies relationships between men and women, the loneliness, alienation, pining and unexpected connection. With his trademark unflinching intimacy, this book left both of us wanting more but hey, it's Murakami and he always leaves you holding the pages in sweet agony. Our bookish topic is how to keep your books pristine in our humid weather.